When spending significant amounts of time in the sun, both adults and children should wear a sun hat that provides adequate protection. Though many people opt for woven straw hats, they provide much less protection from the sun than a thick fabric hat. 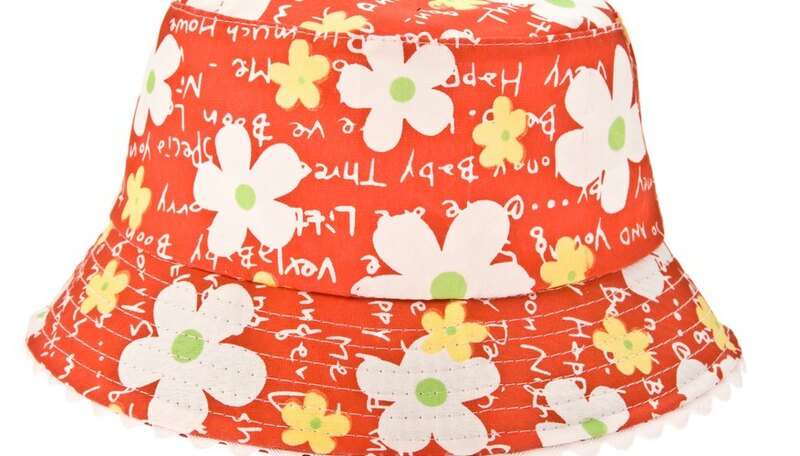 With a sturdy canvas-type fabric and a soft fabric for lining, you can sew a one-of-a-kind sun hat that will provide both coverage and style. Create a pattern from a bucket hat with a full brim that fits the head of the person who will be wearing the hat. Measure the circle on top, the sides and the brim and add one-half inch to each measurement for seam allowance. Divide the measurements of the sides and brim in half. Use measurements to cut pieces from the main fabric. Cut two pieces for the brim and two for the sides. Cut one circle. Cut pieces from the contrast fabric for the inside of the hat that match the first pieces cut. Sew the two side pieces together with right sides facing. Backstitch to secure stitches. Pin the right side of the circle to the right side of the side piece. Sew one-half inch from the edge of the two pieces, removing pins as you sew. Repeat the process with the contrast fabric to create a lining. Press the lining right side out into the inside of the hat. Use small stitches to hand tack it in at the corners. Put right sides of the main brim pieces together and sew them to make one piece. Repeat for the brim lining pieces and sew both brim pieces along one edge, leaving a one-quarter-inch seam. Fold the raw edge of both fabrics over one-half inch, and press with an iron all along the edge. Sew along the edge to finish the brim. Turn the rounded part of the hat inside out, and pin the brim to the sides with right sides facing. Sew the two together, removing pins as you reach them. Choose a thick, canvas-type fabric for your main fabric and a soft, lighter fabric for your lining. If you desire a stiffer hat, cut interfacing the same measurements as for the hat and sew it between the two fabrics.